The Chatham Miramichi Honda Ironmen have signed LHP Rhett Feser as one of their two imports for the 2019 season. Feser is expected to slot in at the top rotation. Feser previously starred at the Prairie Baseball Academy, helping the Dawgs capture the 2017 Canadian College Baseball Conference championship. In the process he was named Pitcher of the Year, going 5-0 with a 1.41 ERA, holding batters to a .160 batting average. 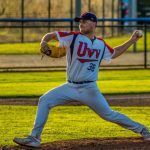 In the Saskatchewan senior league in 2017, Feser was 4-1 with a 1.94 ERA, striking out 52 in 36 innings. 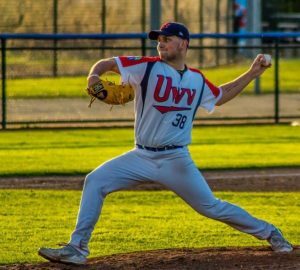 Feser pitched for UVV Utrecht in the Dutch Professional League in 2018. The Ironmen are defending provincial champions and will host the Canadian Senior Baseball Championships August 22-25. League play will open on the long weekend of May.